Great news for Roku fans who already have access to Netflix, Amazon Video On Demand and MLB.TV premium channels! 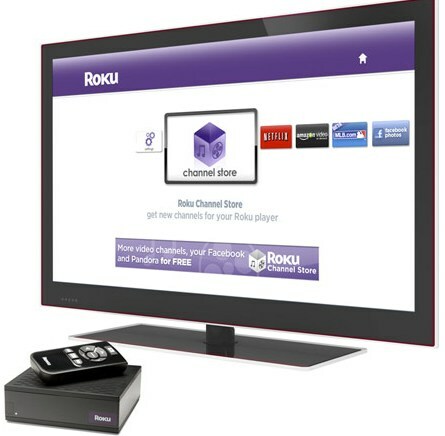 The market leader in innovative applications for digital media, Roku, Inc. has launched its new Roku Channel Store, the open platform with the first 10 new free channels for Roku customers to enjoy on their TVs – Pandora, Facebook Photos, Revision3, Mediafly, TWiT, blip.tv, Flickr, FrameChannel, Motionbox and MobileTribe, aiming to enrich your Roku experience. Roku Channel Store that is compatible with all Roku players including Roku SD, Roku HD and Roku HD-XR will come as an automatic, free upgrade to all existing Roku customers in the next 2 weeks, and the new customers will automatically be upgraded while they first install their Roku player.